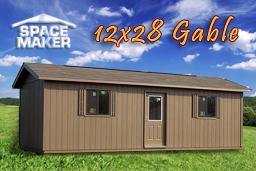 Space Maker Portable Buildings provides very affordable storage buildings of the hightest quality throughout the Nashville Tennessee area. Before you rent a place to store your stuff, you should give Don a quick call and let him see if he can help you get a building that will last for years and years to come. It's nice to have your storage building right outside where you need it most. Click a custom storage building and scroll down. A man cave is a place for men to hang out, bond, put stuff, work on projects and have fun. • Just the right size for all your "stuff". • Be as creative as you want and create a special place. • Customized to suit your specifications before you buy it. • Versatile to use as office space, play space or work space. • 25 year roofing shingles with insulated decking. • Locking door option and hardware for security and protection. • Includes a sanded, smooth plywood floor. What is a She said - He Said Portable Building? She said she wants a shed too and so does he. Now you can both split the building however you need. She can have her side and he can have his. This way she can have her studio and he can have his man cave. • Just the right size for your things. • Creativity can really take off when you both pitch in! • Customize the deviding wall to suit your specifications before you buy it. • 2 Locking doors option and hardware for security and protection. Have you not yet found the custom building storage solution you are looking for? Don’t worry; we can provide you with any custom building design you like, for whatever purpose is necessary. 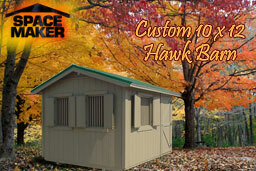 Are you looking for a custom building to serve as a storage garage for your motorcycle and ATV? Maybe you need a shop for your pottery shop, artwork, woodworking shop, or other special hobby shop or activity. 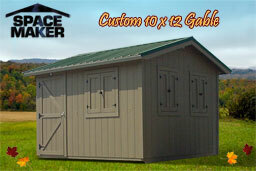 Are you lacking room in your home or garage for a work space and need to turn one of these buildings into an office? 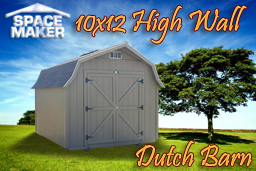 We custom build amazing, sturdy structures for your needs based on your specifications. Take a look at some of our custom designed building suggestions and see if these meet your needs, and if you are still in the market for a specific custom building design, we’ll work together to create the perfect portable building for you. Custom Gables fit perfectly in natural settings and include many custom options. 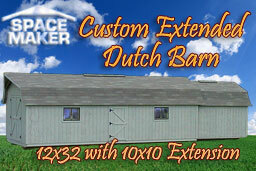 Extend any plan to accommodate your storage needs for today and your future. You choose to configure the design, our custom building team will help you to create and erect the perfect shelter from our line of custom buildings. 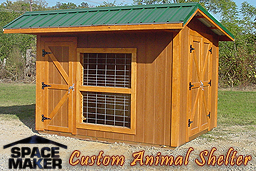 Custom create sheds and stables for horses, whether your own or those you board for others!